Since 2012, Nature Iraq has been conducting the annual Green Music and Arts Festivals in Sulaimani, featuring exhibitions from local NGOs, musical and theatrical performances from Iraqi and international artists, exhibits of art and photography. Held in the springtime in Sulaimani's Azadi park, the festival is a celebration of nature and the people and groups working to preserve it. 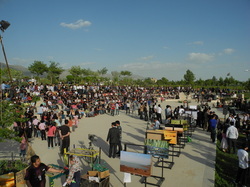 In 2013, the festival was expanded to Chibaish, as an explicit celebration of the restoration of the internationally famous Mesopotamian Marshlands. Held on the bank of the Euphrates, the festival featured readings from the Qu'ran, music, poetry readings, boat races for men and women, and photo exhibitions. One major highlight of the festival was the dramatic return of the Tarada to the Marshlands. 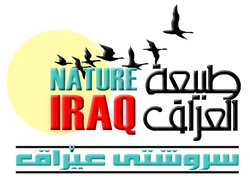 The festivals allow Nature Iraq to engage with and raise environmental awareness in segments of the population that we would not normally be in contact with, gives us greater name recognition, and allows us to collaborate with similarly-minded organizations in Iraq.